Save up to 68% on Richeson Easel Sets only at Rex Art! Jack Richeson Beechwood Adjustable Lyre Easel Set Save 59% at Rex! Save 62% on the Jack Richeson Beechwood Studio H Easel Set at Rex Art! Save 68% on the Jack Richeson Beechwood Crank Easel Set at Rex Art! Save 58% off on the Jack Richeson Beechwood Watercolor Easel Set only at Rex Art! 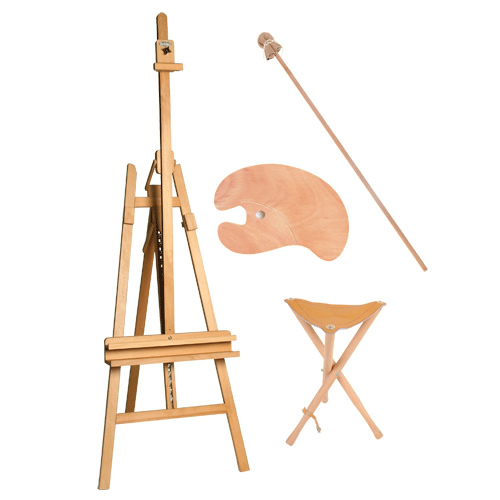 Save 64% on the Jack Richeson Beechwood Platform Easel Set at Rex Art!